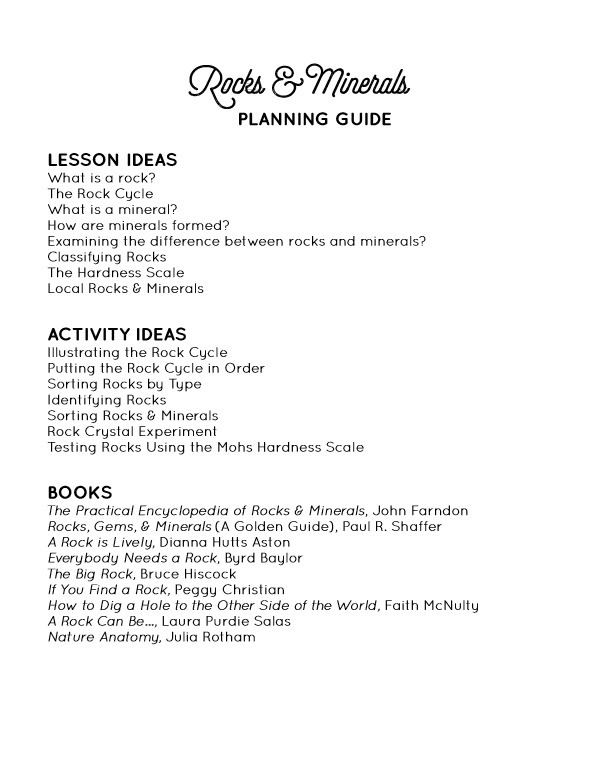 In the winter we studied Rocks & Minerals, (I know…I know…it’s July and I’m just now putting this up here. That’s real life.) 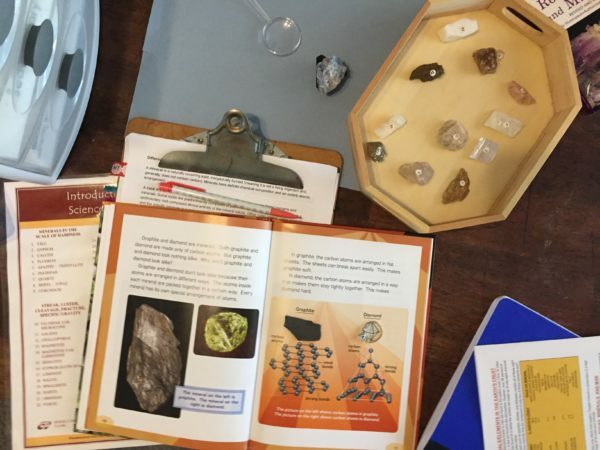 it was a fun study to dig into and learn more about geology and rocks and minerals in our area. 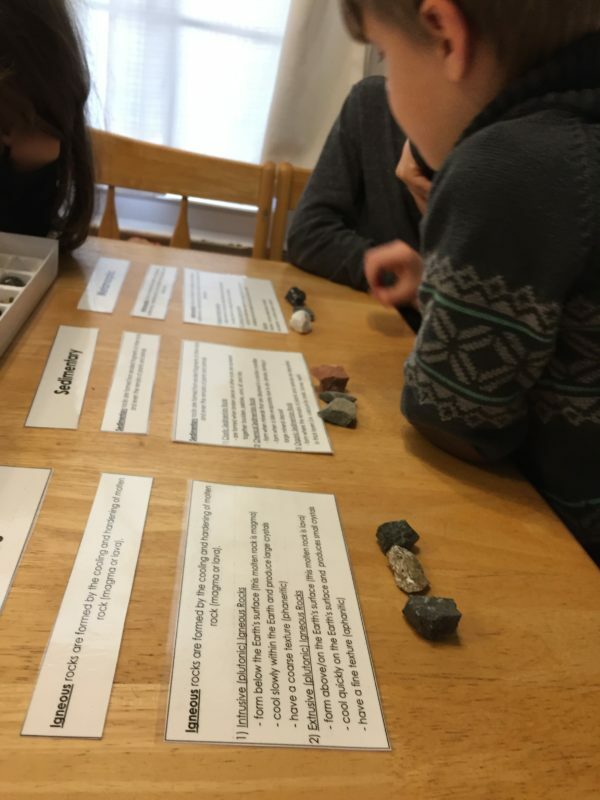 It’s amazing to think just how old the earth is and how many of our natural materials have been through multiple transformations in process of the rock cycle! 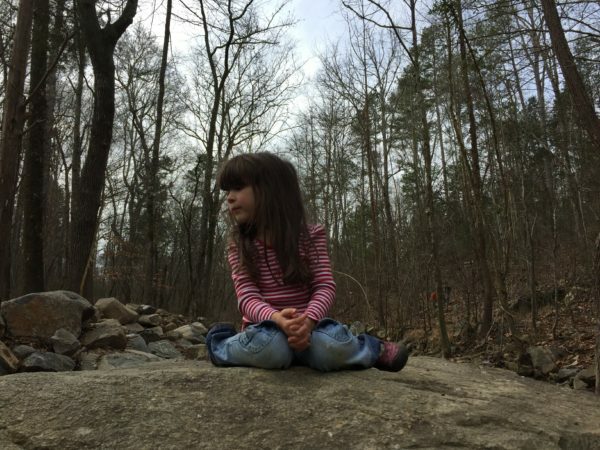 We discovered that South Carolina is known for its blue granite and has a good number of quarries (though many are now closed). The first vertebrate fossils recorded in North America were found in South Carolina. 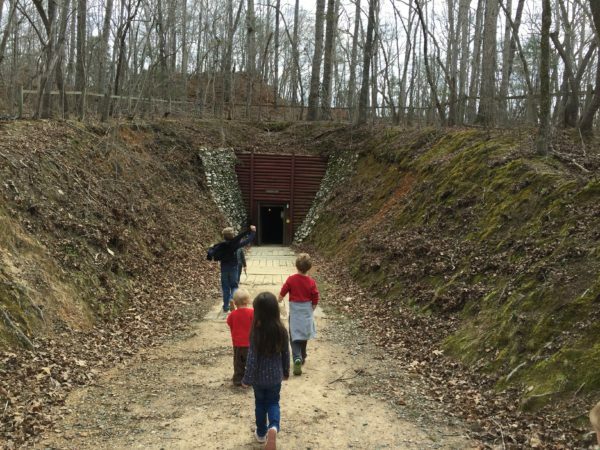 We also discovered that just an hour north of us, America’s first gold rush took place in 1799 at what is now known as the Reed Gold Mine. 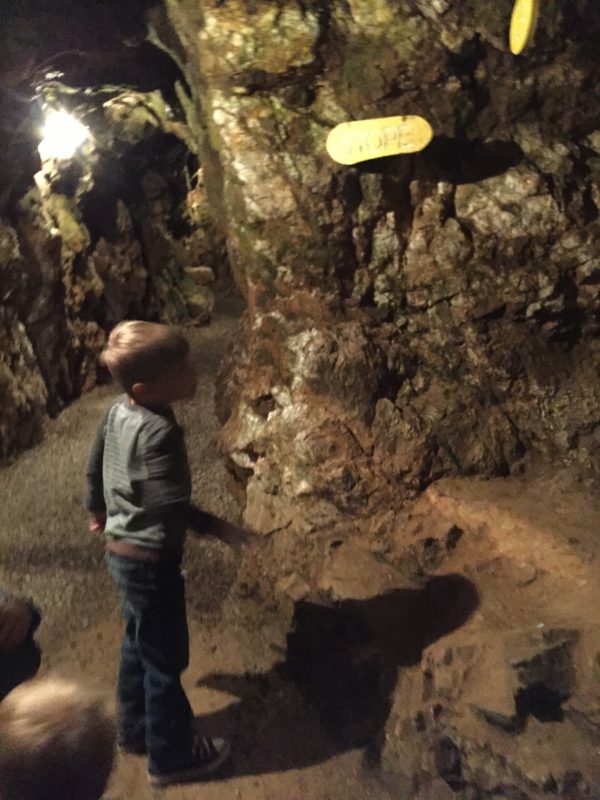 We took a field trip there with our Wild + Free group and were able to climb 50ft underground and explore the mine! It was pretty neat…and cool. There was about a 20 degree temperature difference! 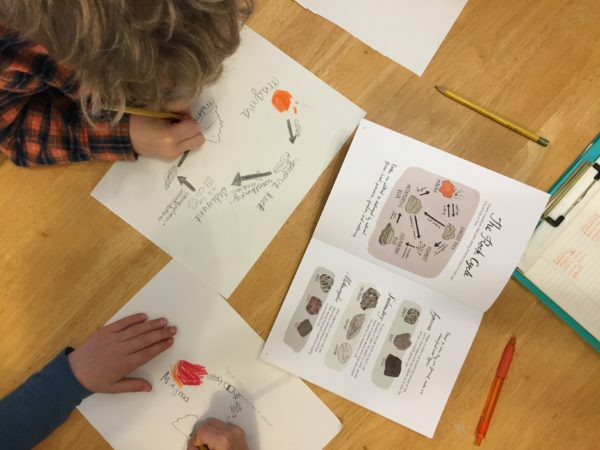 We sorted rocks by type as we learned the difference between igneous, sedimentary, and metamorphic rocks. 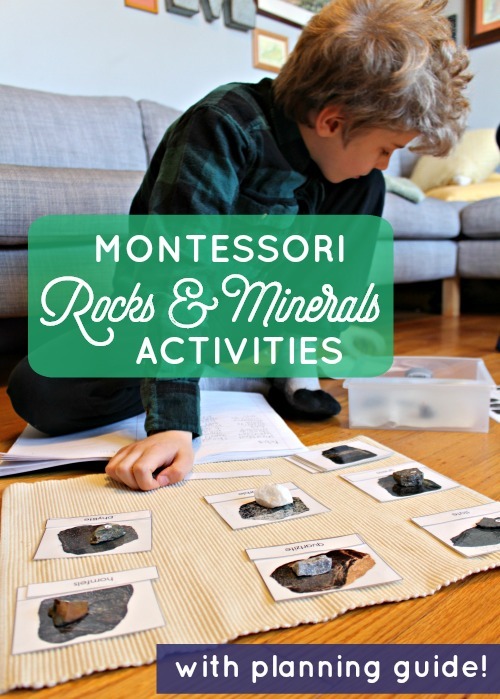 We did lots of sorting and classifying with Montessori Print Shop’s Rocks printables. Igneous Rocks are formed by the cooling and hardening of molten rock. Sedimentary Rocks are formed from different sediment of other rocks and/or minerals that have eroded over time. Metamorphic Rocks are formed from existing rocks by heat, pressure, or chemicals. We also learned the most basic thing, what is a rock? 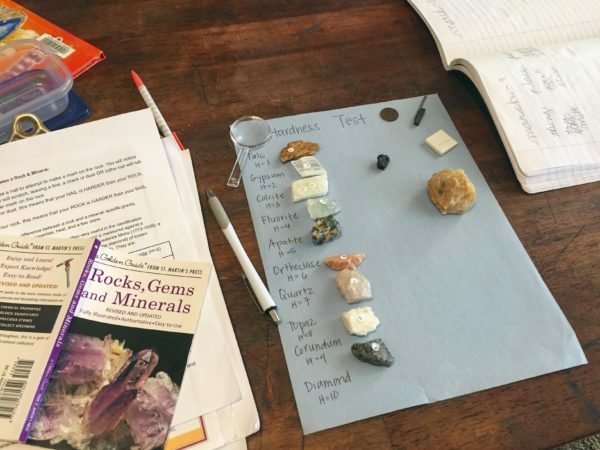 Which led to the question, how is a rock different than a mineral? 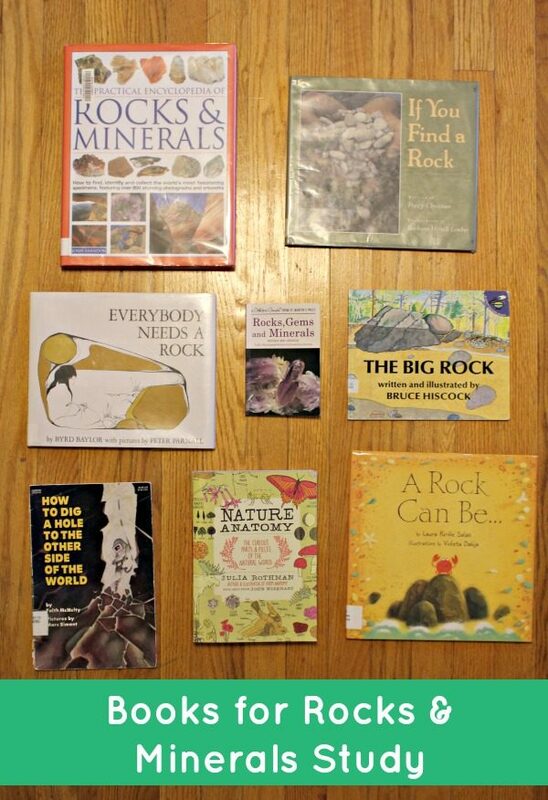 A rock is a combination of one or more minerals and may have organic remains, while a mineral is a naturally occurring solid, is not (and has never been) a living organism, has a definite chemical composition, and an ordered atomic arrangement. This might be a good place to jump into matter, atoms, and molecules if the child is interested. It would help to understand the importance and uniqueness of chemical composition the atomic arrangement in minerals. So then, how do you tell the difference between a rock and a mineral? Just kidding. Ring is still in tact. 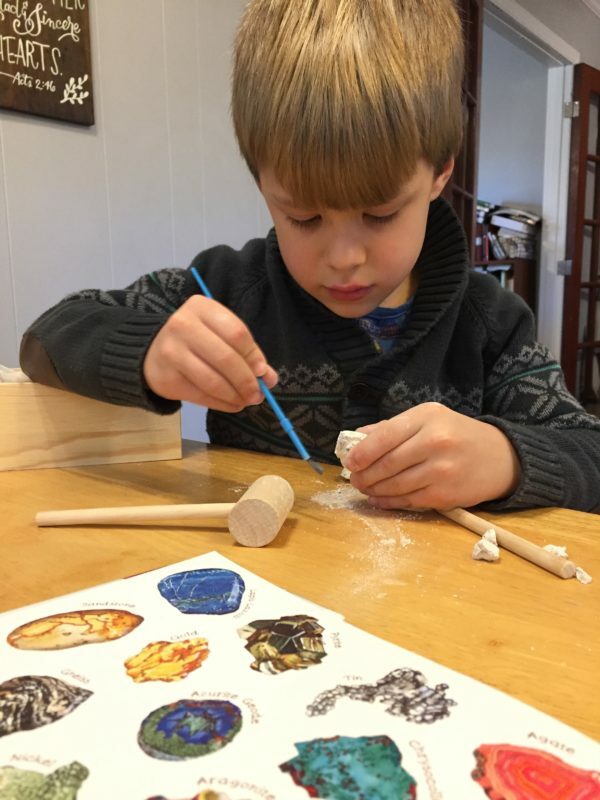 But really, this kit was so useful in being able to hold and examine the different types of rocks and minerals. The kids could see for themselves the difference between the three types of rocks, as well as the softness of minerals. You could also see identifying markers, for example, how some rocks are in layers or squared. They thought it was neat that you really could write with the graphite! 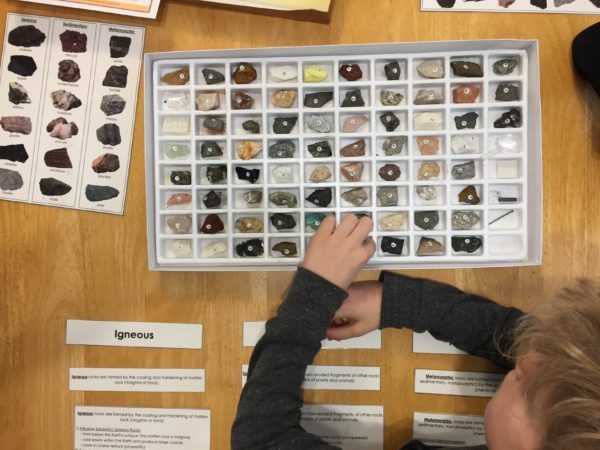 It also comes with a list of all the rocks and minerals broken down by type and numbered, which is really helpful when the younger siblings decide to dump everything on the floor. We also did a crystal growing experiment and excavated for rocks. This kit was given to us as a Christmas gift and the rocks were so small they were hard to find. 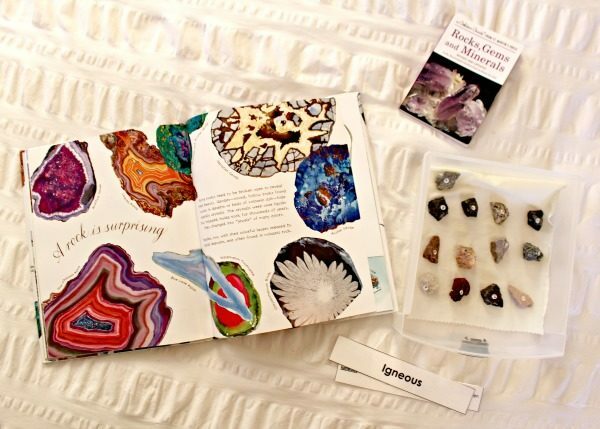 If I did it again, I’d probably go with National Geographic’s Mega Gemstone Mine. The crystal growing lab was pretty cool and it took about a week to grow a decent size crystal. 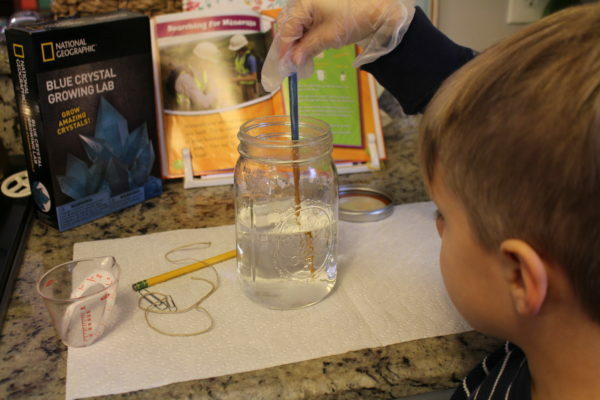 We also tried an at home crystal growing experiment with salt water, coarse string, and a paper clip. Barely any crystals grew. After doing a little searching, it looks like we didn’t need the paper clip to weight down our string. We could’ve just left the string longer, because the salt crystals need something coarse to grab onto (hence the string) and the paper clip was too smooth.